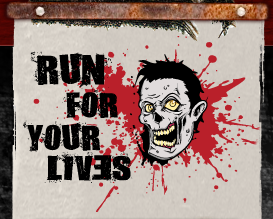 Another race that I NEED (yes, a dire NEED, because it would be too awesome to pass up) to run in August is the Run For Your Lives: "A Zombie Infested 5K Obstacle Course Race." If I don't participate as a runner, then how cool would it be to be a ZOMBIE??? Way cool, I'm sure. Heh heh. Braaaaaaains. The race is a couple hours South of Seattle on August 4th. The fees are a bit high (, but you get a tech tee, medal, bragging rights that you survived and a free beer at the "Apocalypse Party." Anyone up to run this with me? That Safe Zone is pretty wee, don't ya think? I wish I could run this race. I love living in Hawaii, but sometimes I feel cut off from all the fun. I cant WAIT to hear about this one! If I lived on the Left Coast I'd be ALL OVER THIS RACE> sounds so fun!! I would soooo run this if I am in town. Might be in MI. Hmmm . . . . .
Hey, new follower here! Your blog is so fun! Definitely do this race. Any excuse to act like a zombie (which I usually am doing already because I never sleep enough) or run from them. That sounds so much fun! I wish there was a race like that around my area. They're having one of these in Indiana too - a bunch of my girlfriends are planning to run it. Me? No way! Oh my gosh! This race is in my Hometown! I am so there, I don't care what I have to do, I will totally run it with you! 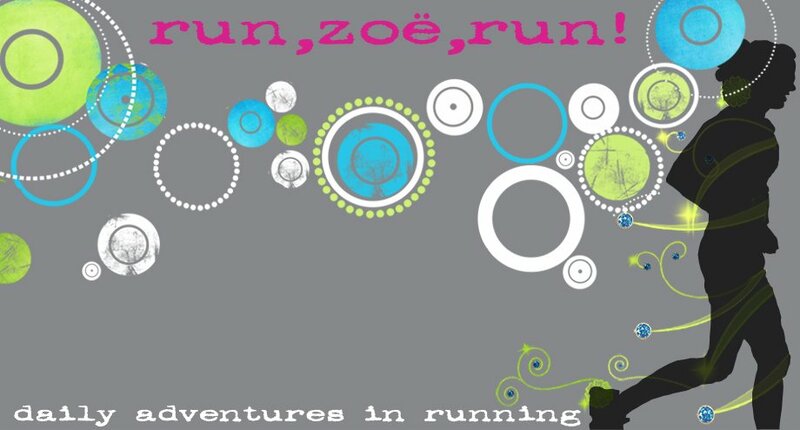 I am seriously considering doing this race...what a blast!! What an awesome themed race. You must do it!